The Timbers have sold-out Providence Park for over 125 games straight. We wanted to encourage our fans to support the team wherever the club went. With our jersey sponsor, Alaska Airlines, we created a social competition where we flew a winner to each venue for the first five away games. We kicked off this contest by animating a supporter’s travel bag packing itself. 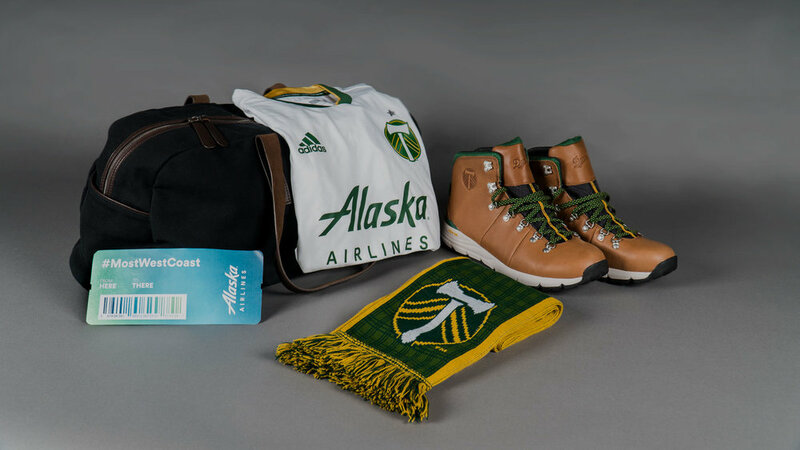 We continued to support the campaign and the Away Days discount offered by Alaska Airlines by creating city-specific travel bag layouts for all 17 away matches. These compositions included an assortment of team product and allowed us to create some irreverent items intended for discovery. We made a sarcastic techy t-shirt to make fun of the San Jose Earthquakes. It was given so much digital love that we turned the joke into a limited edition t-shirt for sale at the team store. Poor San Jose always wanted to be a part of the party.